Sotheby’s had quite a successful year in 2016 when it sold some amazing fancy color diamonds at their diamond and jewelry auctions. Every year, the main auction houses hope that prices will continue to rise, and 2016 continued to prove this trend in the fancy color diamond arena. One of Sotheby’s most notable sales of 2016 was the 6.64 carat Fancy Intense Blue marquise shaped diamond that was sold in May at the Geneva auction (according to our data, it sold for over $2 million per carat, almost twice as much as the previous record of $1.05 million per carat paid for the 7.64 carat back in May 2010.) 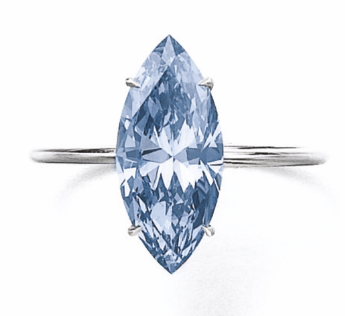 Sotheby’s also sold the most expensive price per carat paid for a blue diamond in the 1-3 carat Fancy Vivid Blue category, when it sold the 2.31 carat Fancy Vivid Blue marquise shaped diamond for $1.25 million per carat, well above the $985k per carat paid for the 2.03 carat Fancy Vivid Blue paid in May 2014. 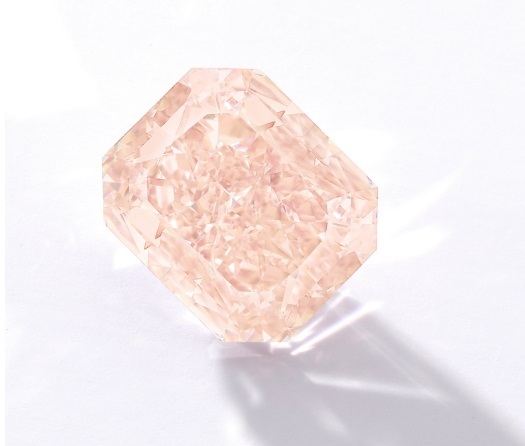 Sotheby’s also had fantastic sales of pink diamonds, such as the 15.38 carat Fancy Vivid Pink diamond that was also sold in May at the Geneva auction, for over $2 million per carat. 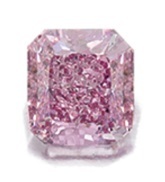 Likewise, another great Fancy Vivid Pink diamond was sold for almost $2 million per carat, the 9.14 carat Fancy Vivid Pink which was sold in November in Geneva. 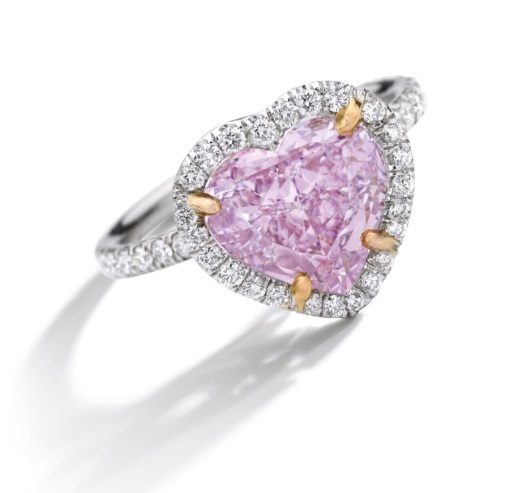 Graff Diamonds made a major move to boost pink diamonds by acquiring both the 17.07 carat and the 13.20 carat Fancy Intense Pink IF diamonds. 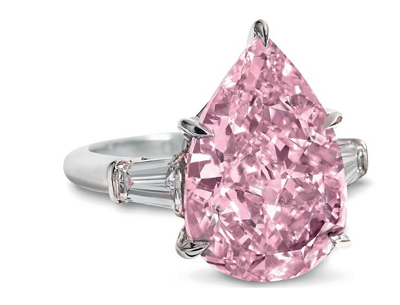 These were seemingly added to his pink collection of the already top price paid pinks such as the 24.78 carat diamond for which he paid $46 million in 2010, and which still holds the record price for the overall price paid for any pink diamond in the world. What’s New at the Sotheby’s Auction in April? Well, pink and blue diamonds will always remain some of the top selling items in auctions due to their irrefutable rarity. As we have previously stated, investors always want the best and are willing to pay top dollar for it. In the upcoming Hong Kong auction on April 4th, four out of the top ten most expensive items that are listed are pink and blue diamonds. In fact, three out of the four are on the top five most expensive items on the list. Back at the Geneva auction of November 2016, we saw the 8.01 carat Fancy Vivid Blue ‘Sky Blue’ diamond sell for $17 million total, well above $2 million per carat. 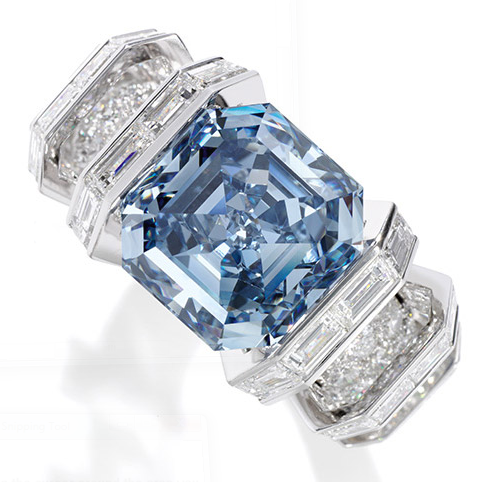 In Hong Kong, we will see it’s baby brother, a 3.13 carat Fancy Intense Blue diamond with Internally Flawless clarity and an emerald cut (same shape as the 8.01 carat Sky Blue). It has even been named the “Mirror of The Sky” Blue Diamond. Its value is estimated to be between $3.86 million to $5.15 million total, or $1.235 million per carat to $1.647 million per carat. 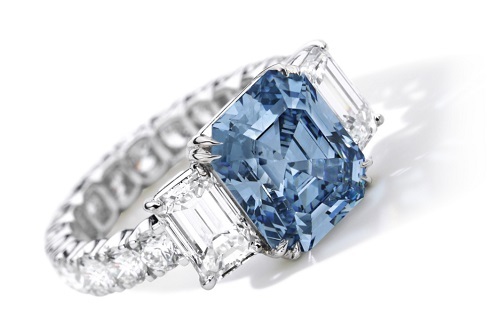 Even if it is sold at the lower end of the value range, it would still break the record for the Fancy Intense Blue 3-5 carat category, which is currently held by a 3.16 carat Fancy Intense Blue diamond with a VS1 clarity that was sold on November 11, 2014 at no other than the Sotheby’s Geneva auction. That diamond was sold for $1.01 million per carat. The second most expensive item that is being sold that evening (after the blue diamond mentioned above) will be a pair of 12 carat colorless diamonds, with D color and Flawless clarity, and are quite rare and unique on their own merit. The third place is a rare Jadeite and Diamond Necklace (Jadeite is an extremely sought after in Asia, and always sells for high prices). The fourth item in terms of value is a little but rare 3.30 carat Fancy Intense Purple-Pink heart shaped diamond with a high VVS2 clarity. 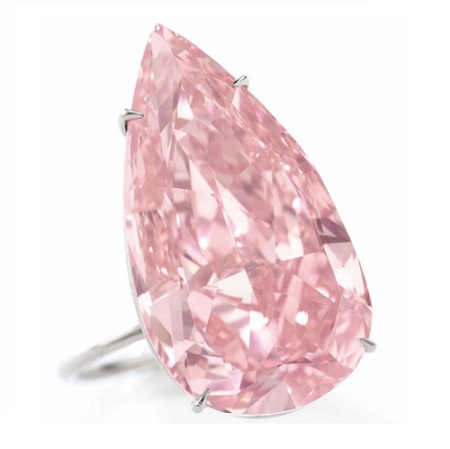 It is valued at a price between $2.3 million to $3.22 million, or $703k to $976k per carat. Even if it is sold at the lower end of the value, it would still break the record in its 3-5 carat color category, which is currently held by the 4.10 carat pink diamond that was sold on October 10, 2010 for $637k per carat. If this diamond is sold at the high end of the value range, then this would mean that a pink diamond in this color and size range has increased in value by over 700% since July 2003, less than 14 years. Incredible returns. Following our Heart, the next item is an 11.44 carat Fancy Orange Pink diamond, in a cut cornered rectangular shape, which is less rare than a heart but still very much desired. It has a VS2 clarity and a nice salmon color to it. It is valued between $2.28 million to $3.22 million, or $$200k to $281k per carat. The last item for our review is a rare 3.74 carat Fancy Vivid Purplish Pink diamond with a cut-cornered rectangular modified brilliant cut shape. As it only has a half Cert (it only includes a partial diamond grading certificate), it only mentions color and shape and it does not mention the clarity. This suggests that it is most likely a low SI or even an I clarity. Nevertheless, the most important element here is its color. 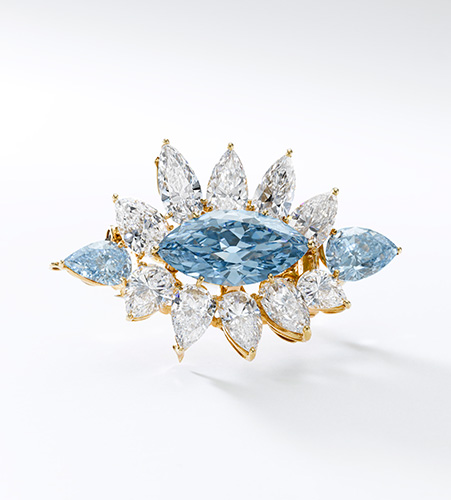 it is valued between $1.25 million to $1.93 million total, or $334k to $517k per carat. Based on the price, we can easily conclude that the color is weak, as diamonds of this color and size (when color is strong) would easily sell for above $650k-$750k per carat due to the rarity combination. The color is most likely a strong Intense Pink rather than Vivid. We are looking at 2017 as a new horizon for fancy color diamonds. Consumer education and awareness is key to increased demand across the color spectrum. Not only pure colors are being sought after, as was once the case, but even those unique colors that have a secondary, and even a tertiary color are rising in demand. On the investment front, we are seeing a further price appreciation across the spectrum, and new record breaking prices this year are expected. Momentum is strong, and even rarer diamonds will appear at auction.